The Justice for Children Award is a competition organized by Defence for Children International (DCI) and the World Organization Against Torture (OMCT), with the support of the Loterie Romande. The aim of the Justice for Children Award competition is to encourage academic research within European Universities on the obstacles and challenges that compromise the realization of children’s rights in justice systems. The first edition took place in 2015-2016. The Jury selected Charlotte Piveteau’s article « I was waiting for recess. Diary of a child in detention » (in French) about the story of a young detainee named Roméo, in which the author brought a genuine “human” and personal touch to her analysis of violence against children in the justice system. The jury also granted a Honourable mention to Ms Emilie Spagnoli’s and Ms Margherita Folzani’s paper “Palestinian children’s rights in Isreali Military Detention”. Read the first edition’s press release. 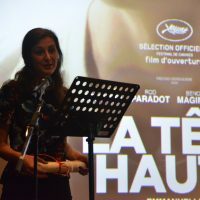 The award ceremony of this edition was held on Tuesday 21 June 2016 at the Cinémas du Grülti (Geneva) during a public event that included the screening of the award-winning film “La Tête Haute”, in the presence of the screenwriter – Ms Marcia Romano – followed by a debate on juvenile justice. The second edition took place in 2017-2018. As this edition focused on violence against girls in the justice system, Mr. Philip Waszczuk was selected by the Jury for his article: “No blame for being vulnerable: access to justice of disabled girls in Uganda on the example of sexual violence.”The Jury welcomed the integration of a multidisciplinary analysis, in combination with the use of qualitative methods such as interviews with NGOs working in Uganda. In addition, the jury granted a Honourable mention to Ms. Ann Marie McDonald, for her paper ”Guilty Of Being a Girl.” Read the second’s edition’s press release. 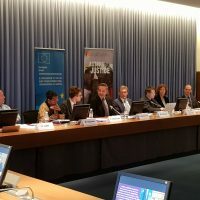 The Award Ceremony took place at the European Union Delegation to the United Nations in Geneva, Switzerland on October 2nd, 2018 followed by a discussion panel on violence against girls in the justice system. Read the press release of the Award ceremony here. Five international experts compose the Jury: Ms Renate Winter, international judge and Vice-President of the UN Committee on the Rights of the Child ; Mr. Eric Sottas, legal expert and former OMCT Secretary-General, Mr. Benoit van Keirsbilck, President Defence for Children International and Editor in chief of « Journal du Droit des Jeunes », Prof. Philip Jaffé, psychologist and Director of the Interfaculty Centre for Children’s Rights of the University of Geneva, and Dr h.c. Jean Zermatten, former judge at the Valais juvenile court and former President of the UN Committee on the Rights of the Child. Opening film at the 2015 Cannes Film Festival, and winner of two awards at the “Césars” in 2016. This film tells the story of a youth involved with the French judicial system.